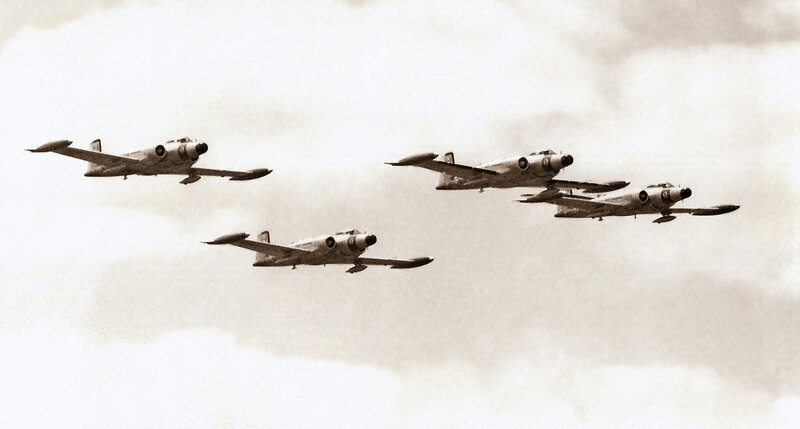 Four McDonnell CF-101B Voodoo from 416 Squadron perform at CFB Trenton - 101021 (499) ex 57-0321, 101024 (510) ex 57-0332, 101041 (553) ex 57-0375 and 101060 (611) ex 57-0433. 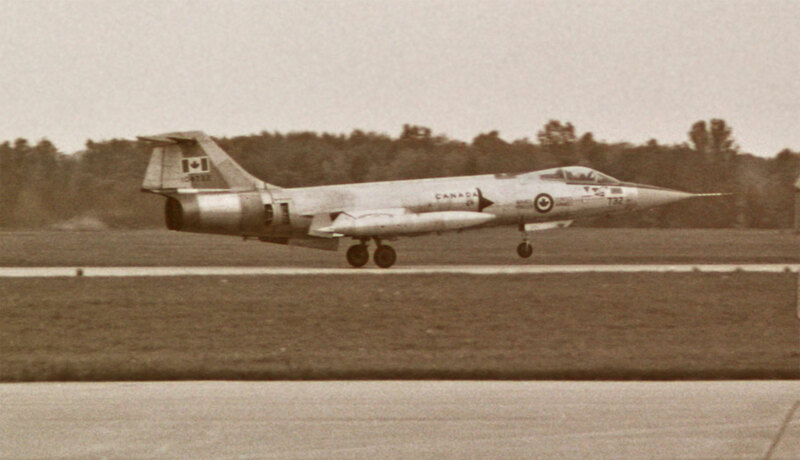 101041 McDonnell CF-101B Voodoo from 416 Sq "Lynx" departs Trenton to join in the display. 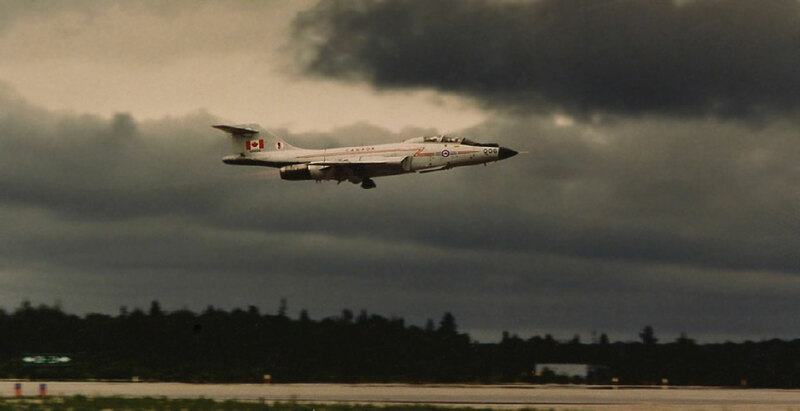 101006 McDonnell CF-101B Voodoo (420) performs at CFB North Bay Armed Forces Display. 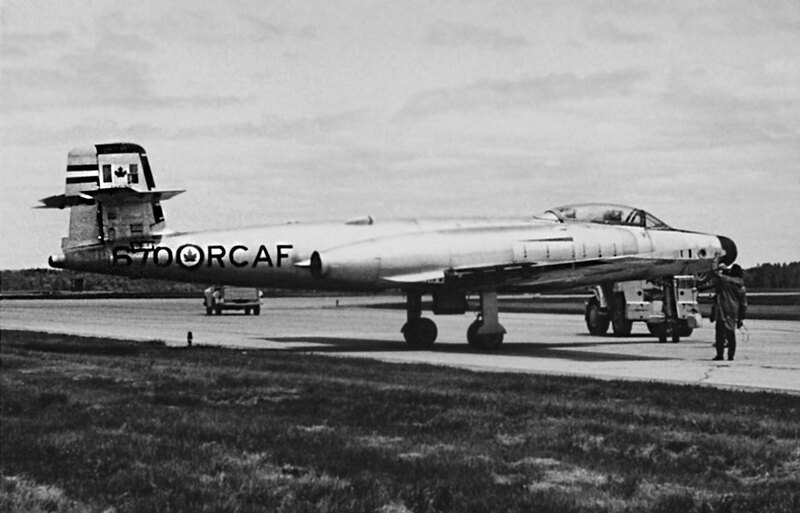 It is ex 56-0324 and is on display now at CFB Cornwallis. 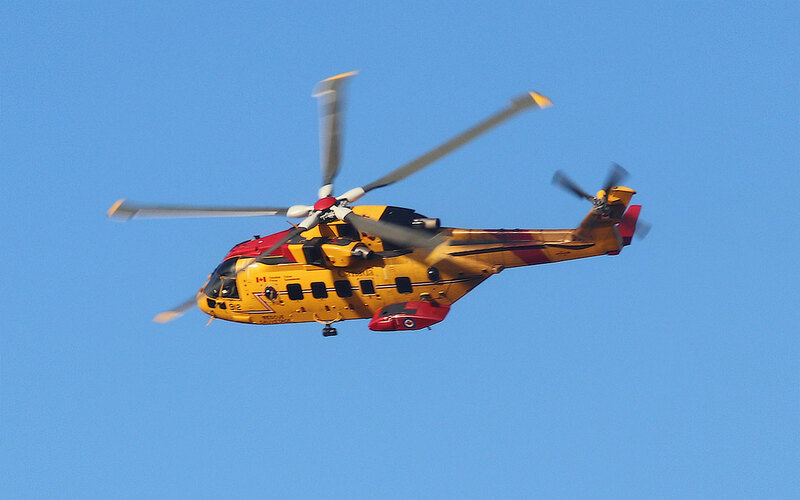 CFB Trenton based Boeing CC-137 13704 demonstrates her removable tanking equipment. 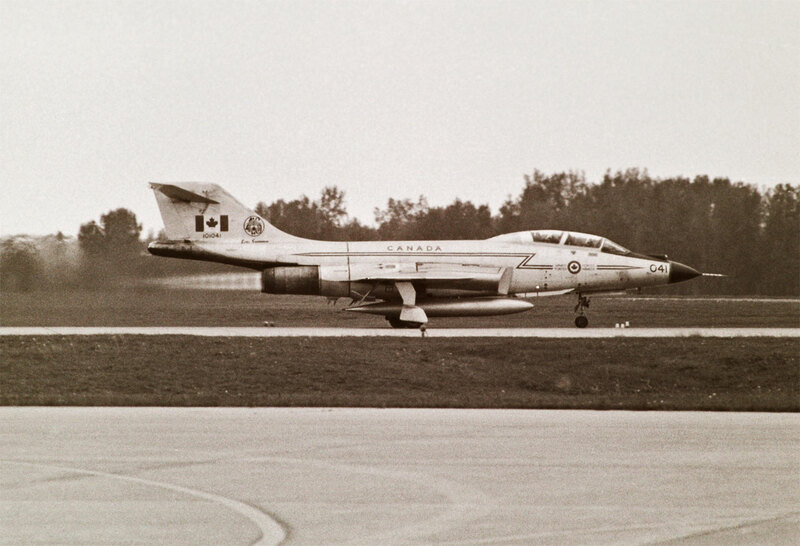 104732 Canadair CF-104 Starfighter CAF 417 Squadron. 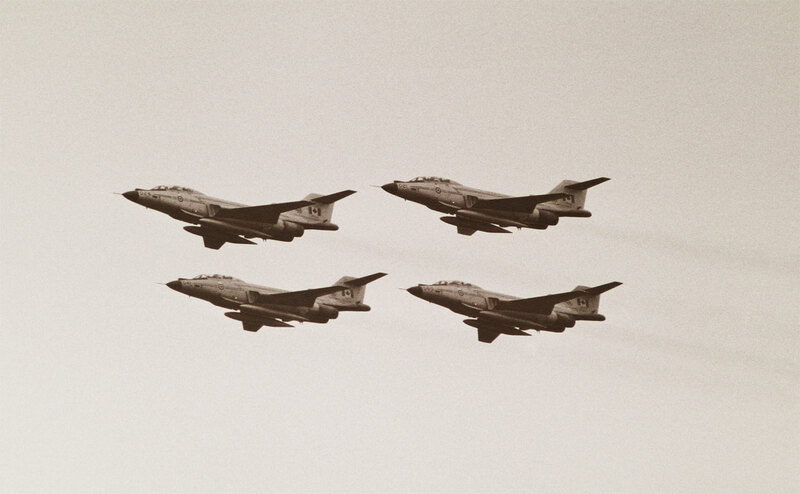 This aircraft was lost in a flat spin, pilot ejected safely, 30 April 1982. 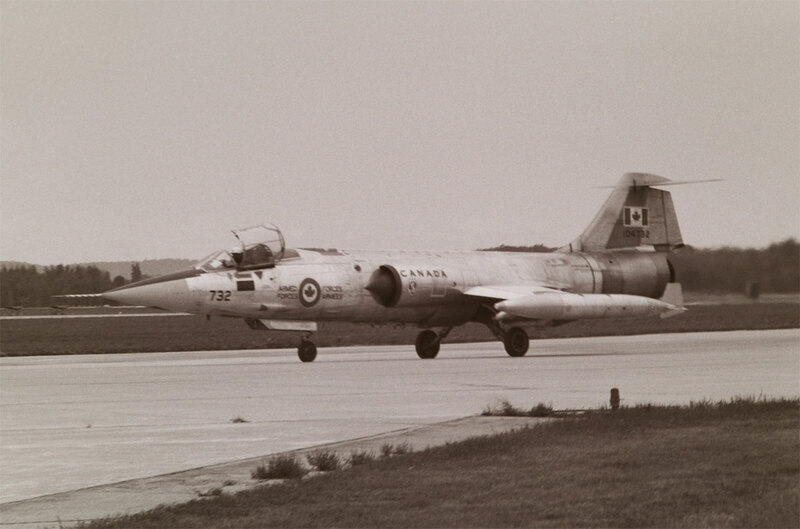 104838 Canadair CF-104D Starfighter (683A-1138) CAF arriving at the 1977 RIAT Airshow, RAF Greenham Common. 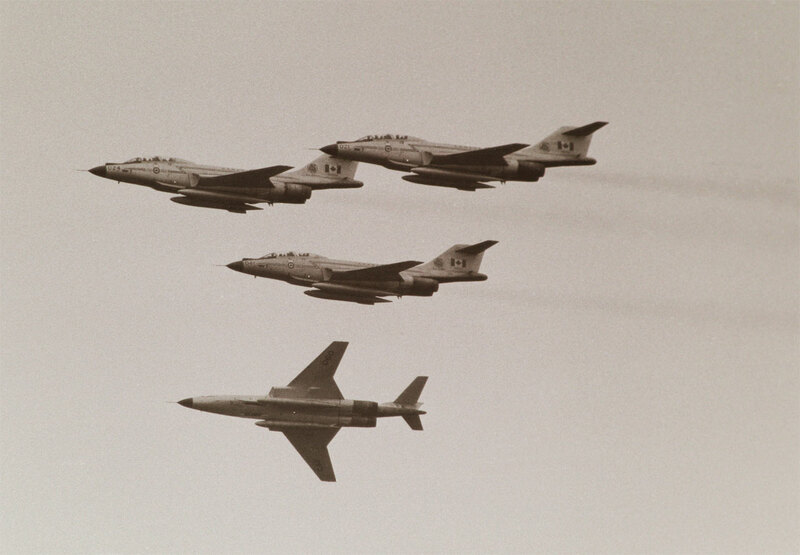 w/o 07 March 1978. 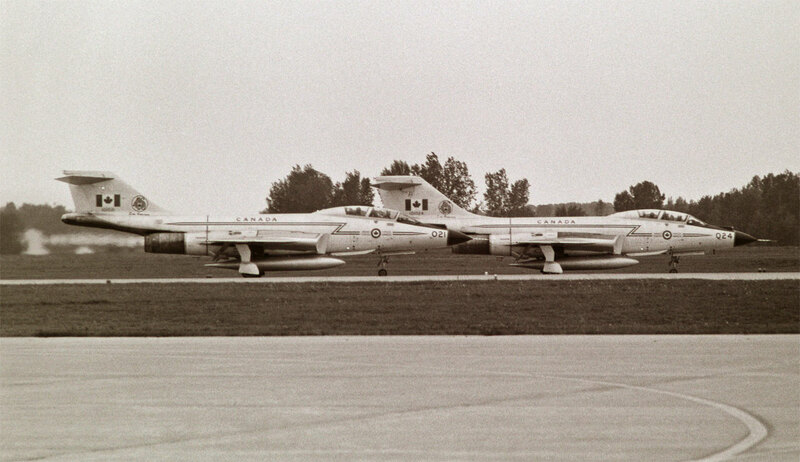 100784 Avro Canada CF-100 Canuck MK.5D (684) CAF 414 Squadron with 100493 (393), 100785 (685) plus one at a CFB Trenton Open House. 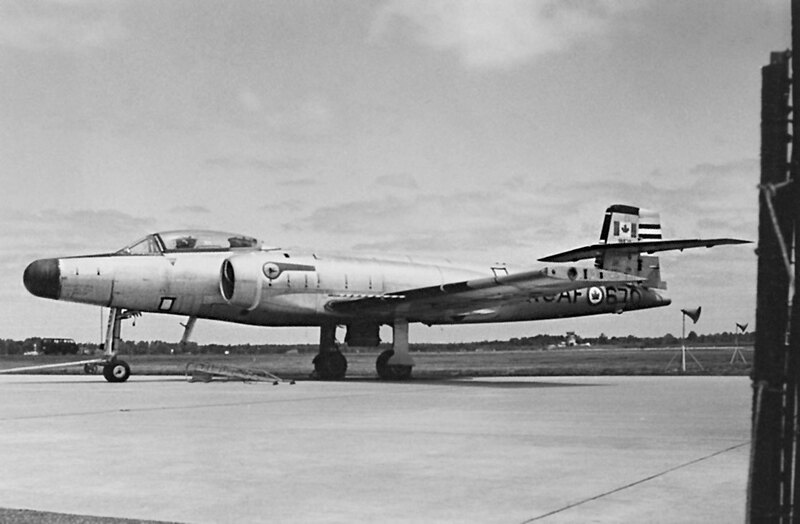 100493 is preserved at CFB Borden. 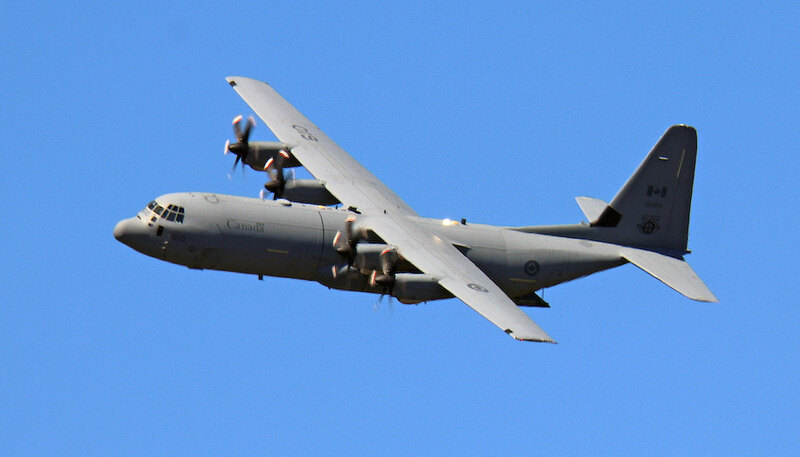 100785 at the Canadian Warplane Heritage Museum, Hamilton, Ontario. 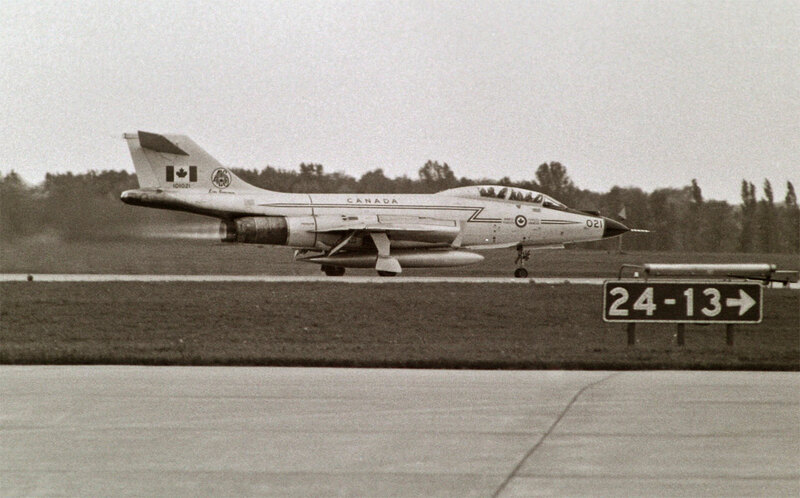 18670 Avro Canada CF-100 Canuck MK.5 (570) 414 squadron EWU, CAF at the same CFB Trenton Open House. 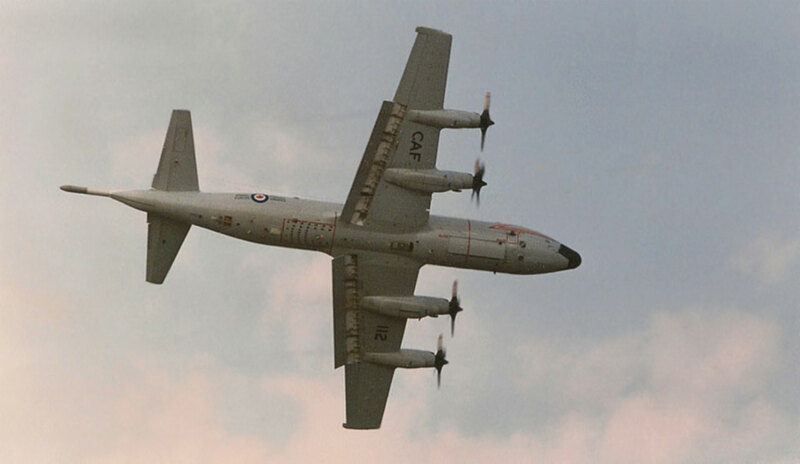 10725 Canadair CP-107 MK.2 Argus (16) CAF at RAF St Mawgan, United Kingdom. 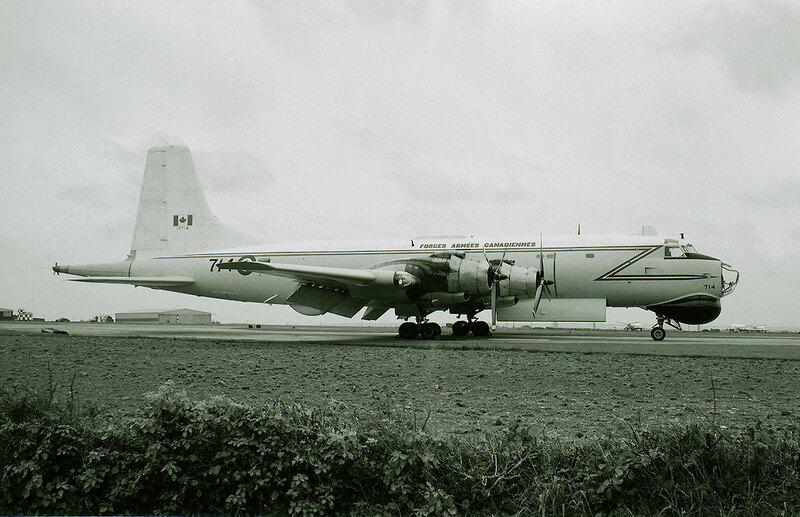 Robert A. Edwards © 14 June 1972 - Aird Archives. 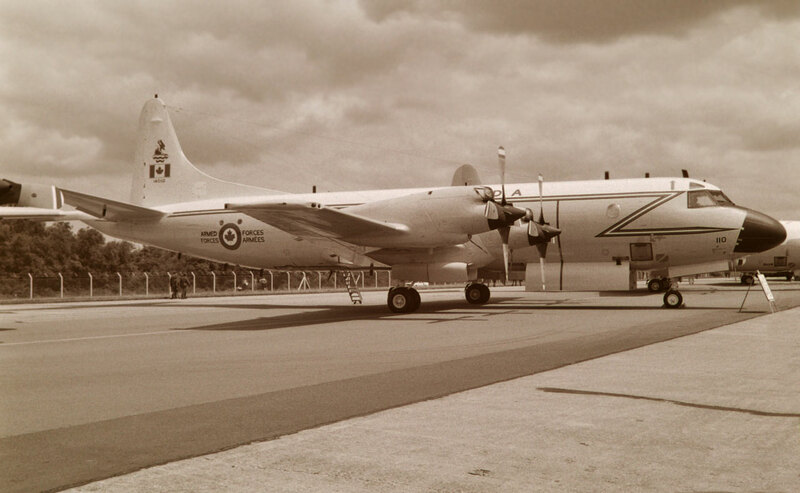 10714 Canadair CP-107 MK.2 Argus (5) CAF at RAF Station St Mawgan, United Kingdom. 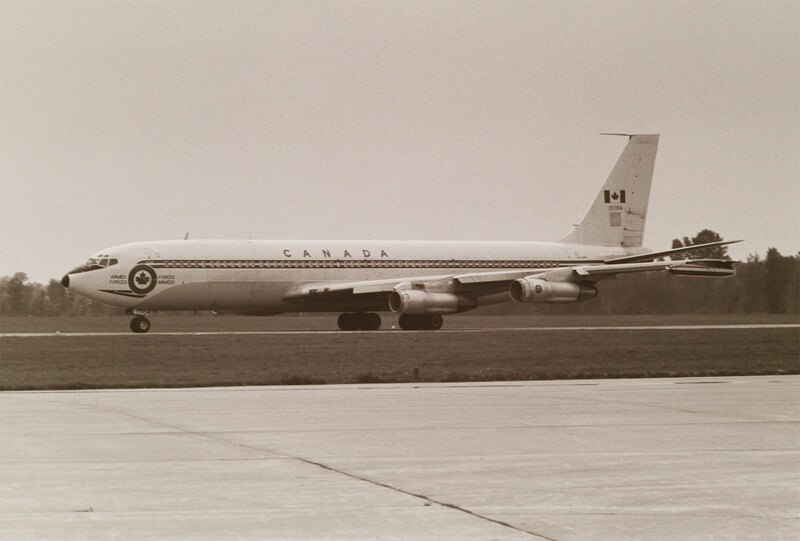 Robert A. Edwards © 01 June 1974 - Aird Archives. 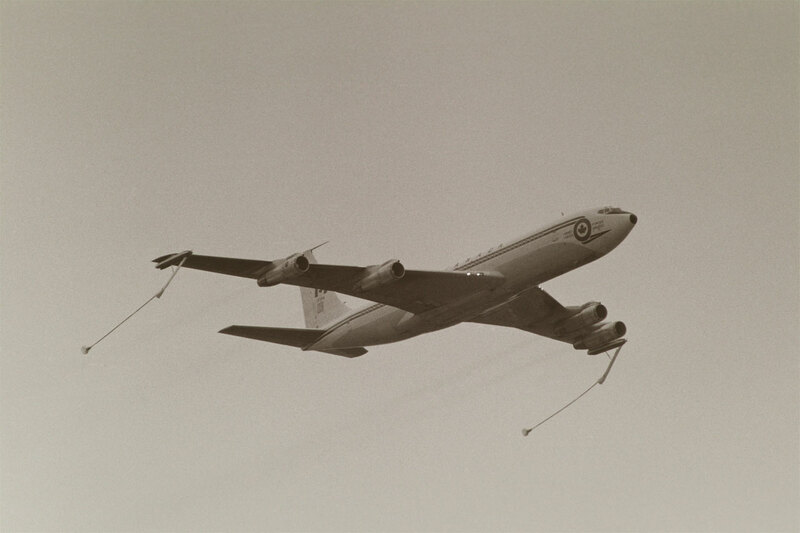 10735 Canadair CP-107 MK.2 Argus (26) CAF landing in the United Kingdom. 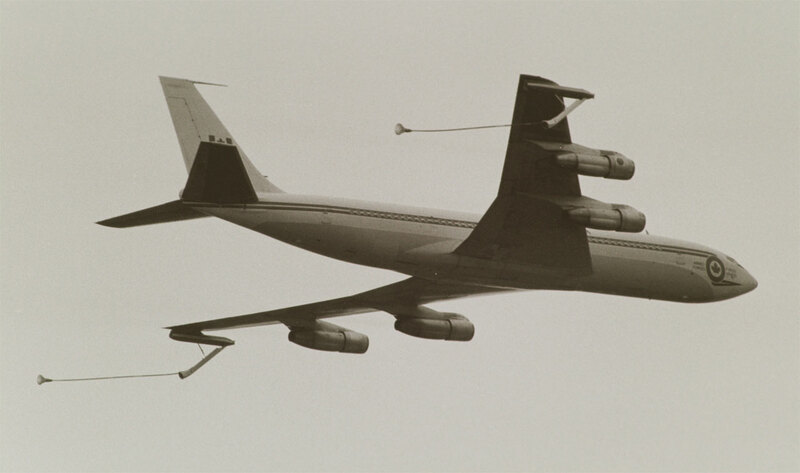 Robert A. Edwards © Aird Archives. 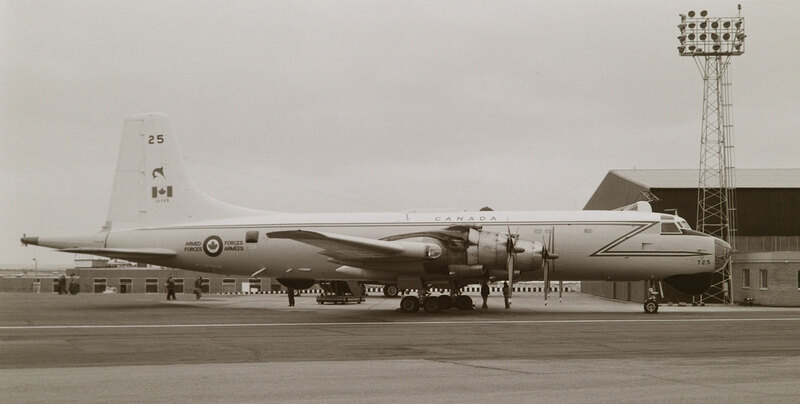 10736 Canadair CP-107 MK.2 Argus (27) CAF from CFB Summerside, PEI. All good things come to an end. 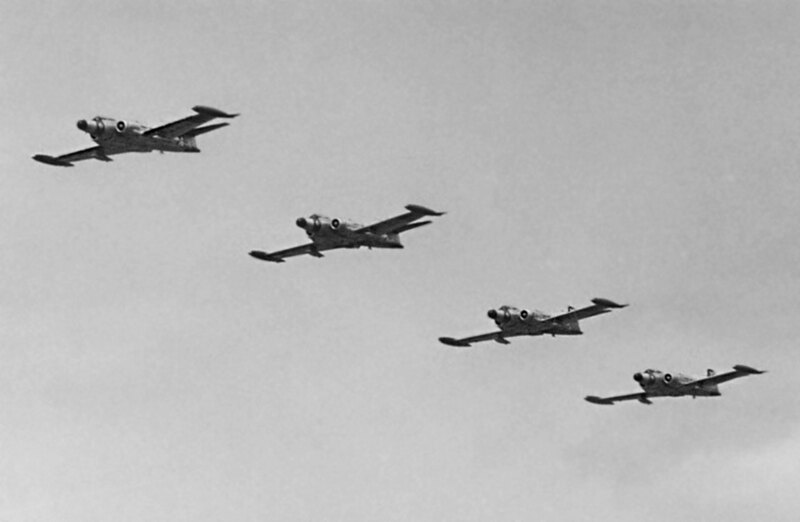 On a summer vacation with my family, I popped over to CFB Summerside and was happy to catch the Argus fleet before the axe man commeth. 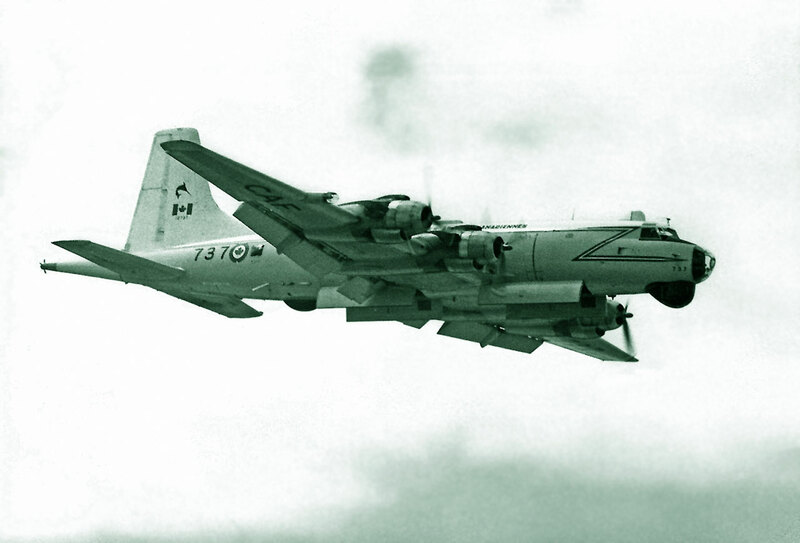 140112 Lockheed CP-140 Aurora (5715) CAF 407 Squadron, the replacement for the Canadair CP-107 Argus. 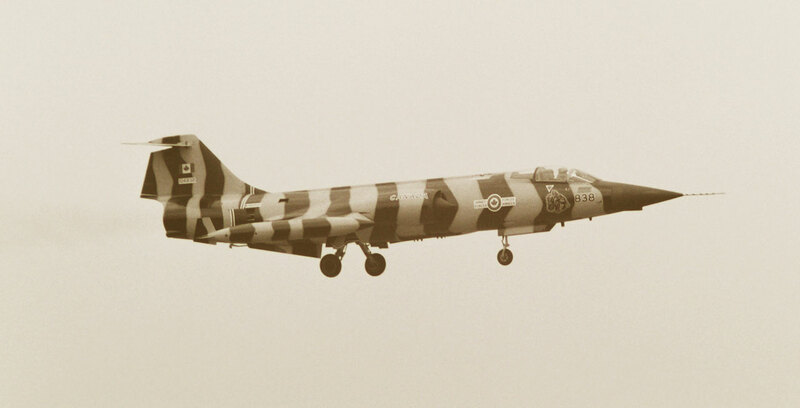 Shown here in the first livery style for the fleet. 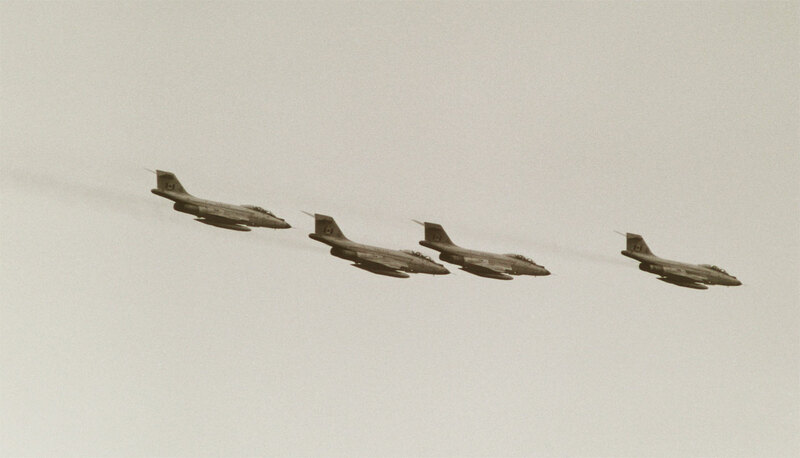 A bit blurred but a dramatic sight at the 1970 Canadian National Airshow above the Toronto waterfront. 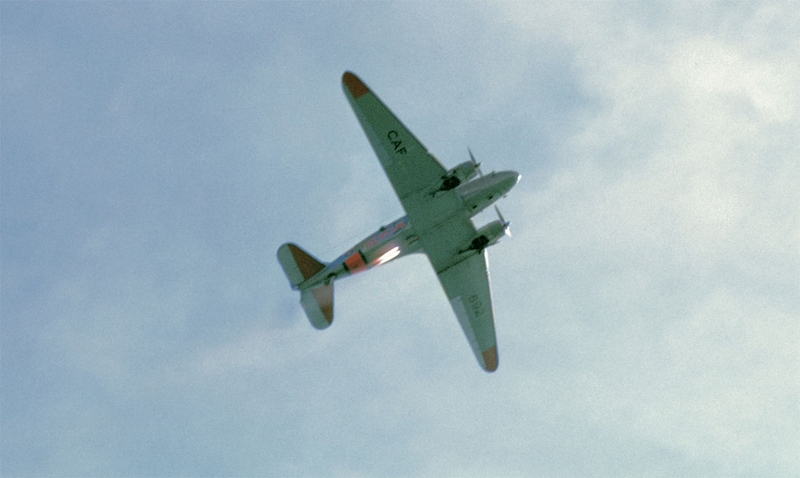 692 Douglas CC-129 Dakota (12295) CAF with JATO. 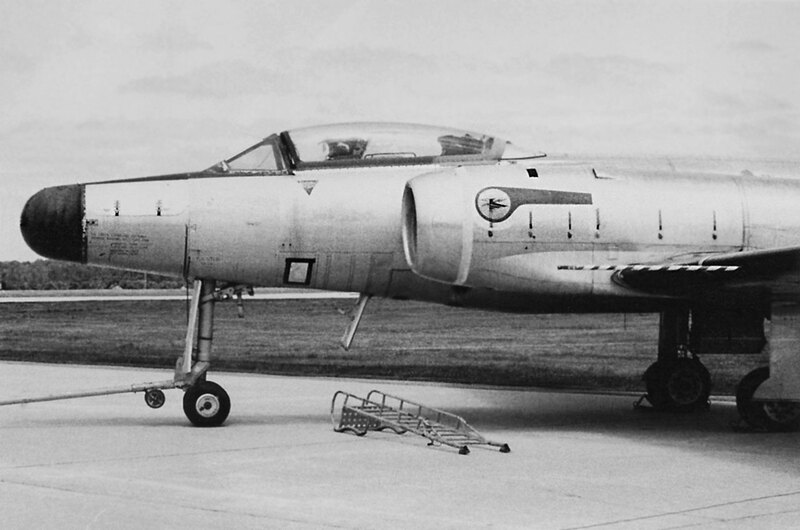 This is FZ692 which later became 12945. 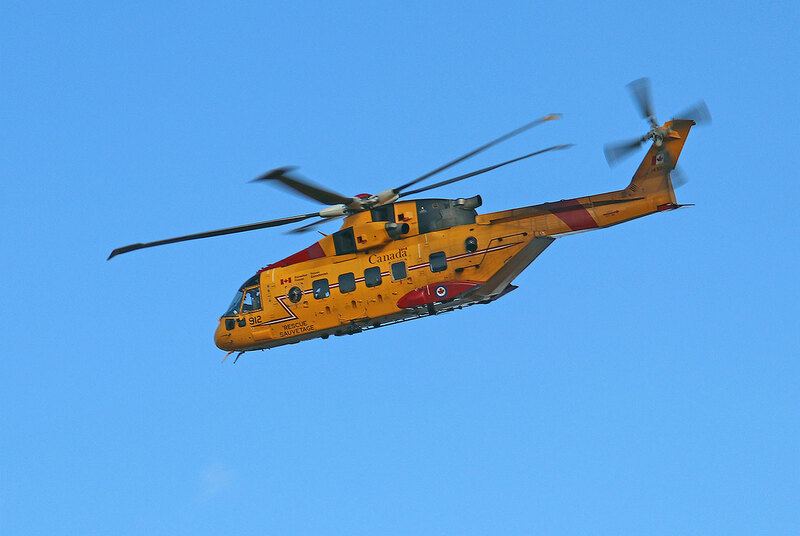 149912 Augusta Westland CH-149 Cormorant (50124) RCAF. Neil Aird © 29 March 2019.